Your wiper blades are critical in helping to remove rain, snow, and debris from your windshield. Over time, the tiny rubber wiping edges will harden and crack, or rip and tear, causing them to perform poorly at the most crucial times. In cold winter climates, most wiper blades will need to be replaced at least yearly to maintain proper wiper operation. 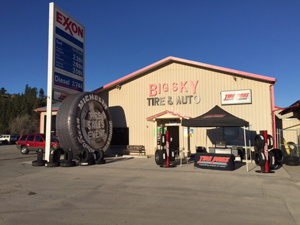 Stop by today for quality, budget friendly wiper blade replacement at Big Sky Tire Pros.